Ahhhh.. what a hot hot day it was.. I was too lazy to be creative that day. I took a silly shot of myself but it was so yucky to even share this. It's already mid afternoon and I was looking for something to take photo of. Good thing is that my niece is always there to be my subject. 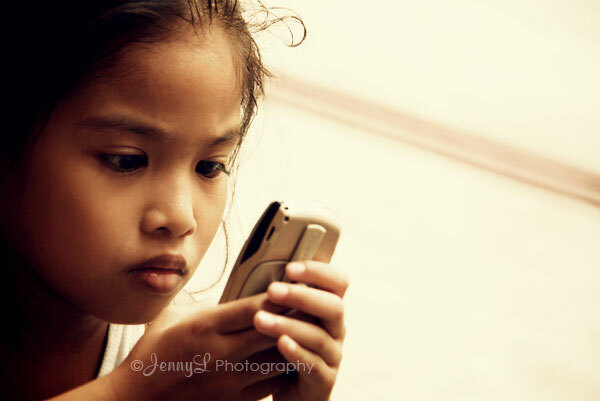 Caught her tinkering and playing games on her dad's mobile and she looks so attentive.